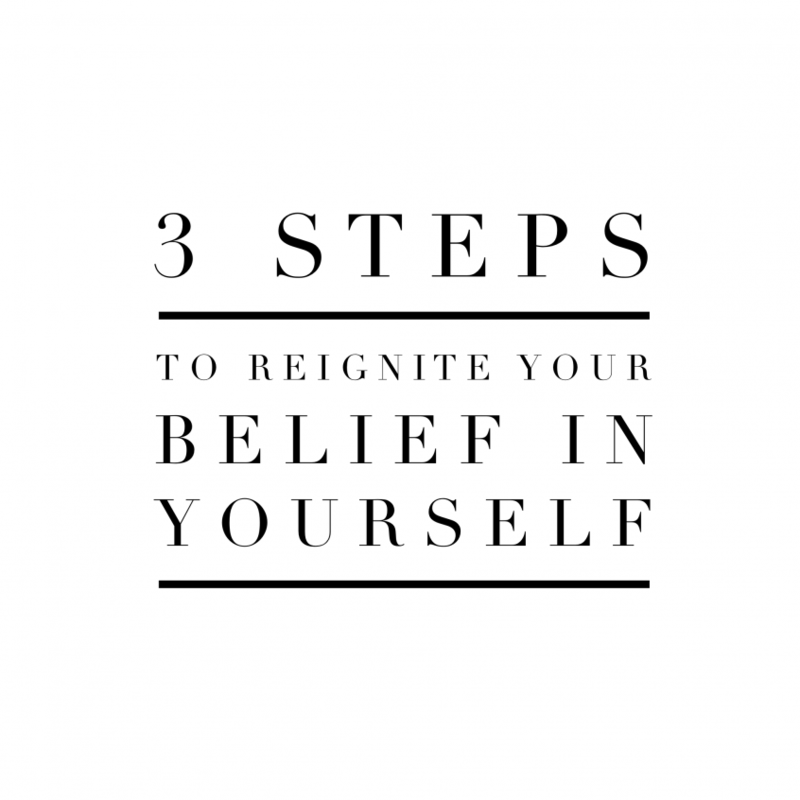 3 Steps to reignite your belief in yourself for entrepreneurs. Believing in yourself may be one of the most difficult things we can do as entrepreneurs. We get beat down by failure, naysayers, and that pesky little voice in the back of our heads, telling us we’re not good enough. While the lack of belief in oneself is never a good thing, for entrepreneurs it can cause a string of negativity that can drive even the most successful of businesses into the ground. When we stop believing in ourselves and what we’re doing, we stop believing other things as well. We stop believing our services are worth the price we charge. We stop believing we deserve the success we’ve had, or the success we’re working to achieve. We stop believing that we have what it takes to make it. Worse than all that, we start believing all the people who have told us we can’t do this. And that is a very dangerous thing to believe. I recently had an awesome coaching session with a new client of mine. She has a great business plan, strong support from her husband, and has had growing success for the past 12 months. But recently, she had lost belief in herself. I’m sure you’ve been there, or maybe you’re there right now. Either way, use the 3 steps below to reignite your belief in yourself. Take some time today to revisit your dreams. Write them down, create a vision board, and put them somewhere you can see them every day. Your dreams are the most powerful tool you have. Seeing the end goal and remembering what you’re fighting for will pick you up when you’re down, and guide you when your path gets a little bumpy. This one can be tough for some people, but I want you to think of every negative thing anyone has said to you (or you have thought to yourself) and write them all down on a piece of paper, leaving some space under each. After you’ve written them down, go through each one and write 3 reasons you’re going to prove that negative thought wrong. You may be wondering why I didn’t ask you to write how you’re going to prove them wrong, but you’ll find the WHY is much more powerful than the how. The how is driven by the why. Daily affirmations are one of the most important parts of my day. This isn’t the easiest thing to do a first; it can feel a little strange talking to yourself, but there is a reason the most successful entrepreneurs in the world do it: it works. When you say something over and over again, every day, your mind will eventually accept it as truth. Write our your daily affirmations and say them proudly and confidently every morning to get your day off to a strong, positive start. Email me at Jeff@enimultimedia.com and let me knot your daily affirmations. Then, if you really want to go after it, shoot me a video of you saying them out loud.